GDPR, Where do you start? GDPR, the EU General Data Protection Regulation, is less than a year away, in order to remain compliant you’ll need to be able to understand, know and document what and where personal data is residing within your organization, where this data came from along with whom you have shared this data with. 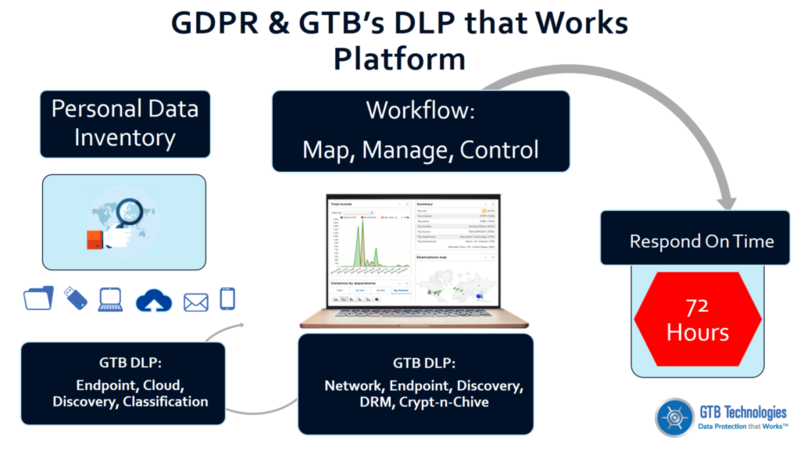 By using patented, smart data detection technology for Data at Rest, Data in Use and Data in Motion, GTB’s Data Protection solutions offer the most accurate data inventory system in the market. Inventory your Personal data from all possible locations (including cloud storage) using an enterprise DLP solution. Review the personal data inventory report and apply the appropriate remedial actions. Use the Personal Data Inventory report to aid in the response to a Subject Access Request. 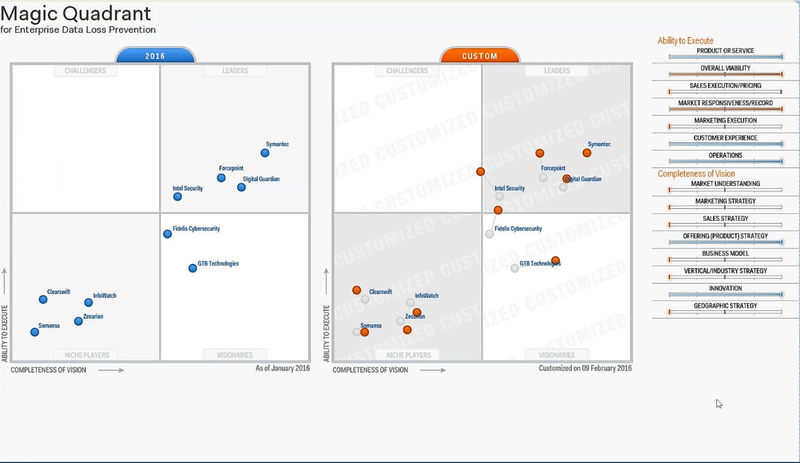 GTB Technologies provides broad coverage for both on-premises and in the cloud.